I love my HHKB. I love its form factor. It’s perfect, except that it requires a mini-USB cable to connect to my Macbook which isn’t very convenient. The Matias Laptop Pro is the perfect addition to my keyboards family: it’s wireless, small and handy. Let’s take a closer look at the Matias Laptop Pro. There isn’t much change to the case compare with other Matias keyboards. It’s quite solid but the the feeling is not as good as the HHKB or Filco. The case is made from Injected Policarbonate (used in football helmets) which is more resistant than other commonly used, cheap ABS plastic. It’s bit too glossy for my taste and a horrible fingerprint magnet (it’s not deal breaker to me though). The Laptop Pro is a bit bigger in size, much less handy and quite heavier when compare with the HHKB Pro 2. It’s the smallest form Matias is offering for now but I heard they mentioned about working on a 60% board. The keyboard has 2 rubber feet but still a bit slippy and easily get slided on the table. It’s very quiet. Much quieter than any switches I’ve ever owned or tried before. The tactile bump is quite nice but not as noticable as the Tactile Pro. This is a trade off for being quiet I guess. I’ve tried Brown MX keyboards and I have to say Matias quiet switches are definitely quieter, even if you do bottoming out everytime. 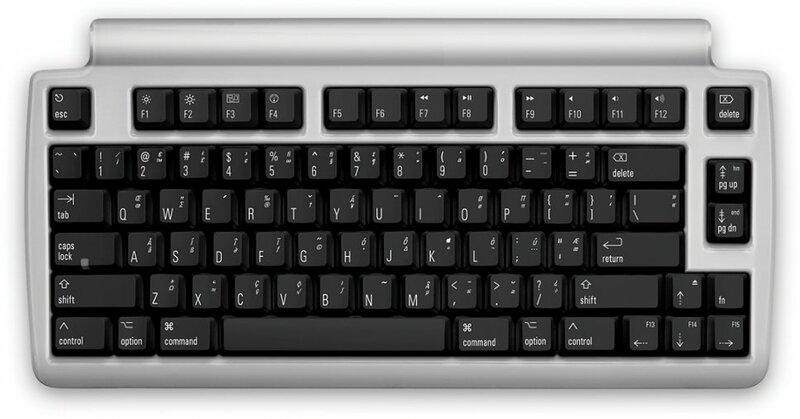 A bit hard for me as I get used to the HHKB layout with the Ctrl key at the Caps lock position instead. I may have to reassign the key as I keep mistakenly holding Caps lock + Tab for tab switching in Chrome. Also, the Fn key next to arrow keys choice is an interesting choice, though I do not need to use Fn as often as I do to on my old HHKB. Unfortunately I haven’t found a single place that sell custom keycaps for Matias quite switches yet. You’re stucked with the default one. If you are already spoiled by the mechanical keyboards and don’t want to settle for less when you’re on the go, this keyboard is for you. It’s small, quiet, lightweight enough to carry around plus no more cable, thanks to the Bluetooth connection.